The 5th North Carolina Regiment was assigned on March 26, 1776 to the Continental Army in the Southern Department. 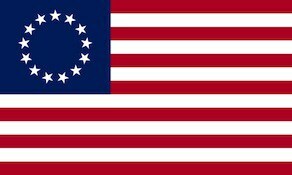 It was organized in the spring of 1776 at Wilmington, North Carolina as eight companies of volunteers from the districts of New Bern, Edenton and Hillsborough of the colony of North Carolina. On 5 February 1777, the regiment was assigned to the main Continental Army and assigned to the North Carolina Brigade on 8 July 1777. The regiment was reduced to a cadre on 1 June 1778 at Valley Forge, Pennsylvania and was assigned to the Southern Department. The regiment was re-organized to nine companies during the fall of 1778 at Halifax and assigned on 11 January 1779 to Sumner’s Brigade. On 3 June 1779, this brigade was redesignated as Armstrong’s Brigade. The regiment was captured by the British Army on 12 May 1780 at Charlestown, South Carolina and was officially disbanded on 1 January 1781. The regiment saw action at the Battle of Brandywine, Battle of Germantown, Battle of Monmouth, Siege of Savannah and the Siege of Charleston.